Everyone would like to have a beautiful smile, but not all of us are born with naturally white or perfectly shaped teeth. Many dental issues can interfere with your ability to smile openly and express yourself authentically. Discolored, chipped, gapped, or crowded teeth are common complaints, and Manisha Bhalla offers a wide selection of cosmetic dental services in Poughkeepsie to correct these issues. 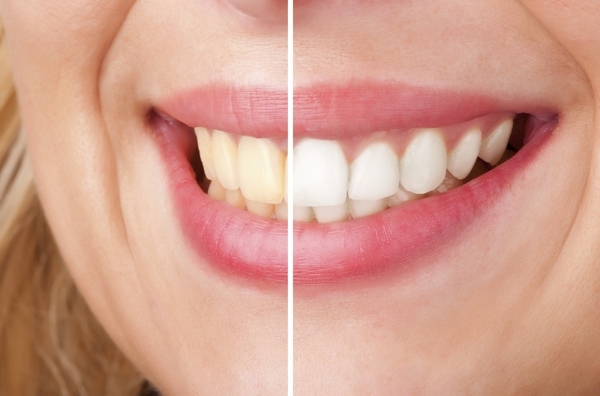 Teeth Whitening – For smiles that are discolored, we prefer whitening with Zoom! This highly effective chairside treatment provides our patients excellent results in less than an hour and a half. We also offer professional strength take-home whitening systems for maintenance after your in-office visit or as an alternative to chairside whitening. Tooth-Colored Fillings – We use composite fillings so there is no metal to detract from your smile when you are treated for a cavity. They are also preferred over amalgam or silver fillings, as studies show composite fillings are better for overall health than amalgam. Veneers – These thin porcelain shells fit over affected teeth to correct chips, intrinsic staining, gaps, and mild misalignment, providing a stunning new smile. Crowns – This natural looking and durable prosthetic covers and protects an entire tooth that may be broken, decayed, or have a large filling that is failing. Bridges – For those missing one or more teeth, we provide fixed bridges that are precisely crafted and placed to restore the function and beauty of your smile. Implant Restorations –Our cosmetic dentist can top your dental implant with the appropriate dental prosthetic or appliance, be it a crown, bridge, or hybrid denture. We work closely with you to create a restoration that will be long lasting, comfortable, and fully functional. Gum Re-contouring – We are proud to offer gentle laser gum surgery to correct a high or uneven gum-line, often referred to as a gummy smile. Our approach is simple and precise and less invasive than with traditional gum surgery. Invisalign® Clear Dental Aligners – When straighter teeth are desired without having to wear traditional metal braces, this orthodontic system provides a discreet alternative to metal appliances. Dr. Bhalla believes in the importance of tailoring your treatment plan to address the unique aspects of your dental health. Many of our Poughkeepsie cosmetic dentistry patients come to us with a combination of goals, such as the desire for a whiter and straighter smile, or the need to replace one tooth completely while having veneers added on others. We are committed to working with you to accomplish any and all of your smile goals. Our cosmetic dental office provides a choice of materials including porcelain and zirconia for your restorations to accommodate your individual dental needs. All of our prosthetic(s) are shade-matched to provide you with the most seamless and appealing smile possible. Dr. Manisha Bhalla has dedicated her life to enhancing and restoring the smiles of her patients. For cosmetic dental services in Poughkeepsie, call our dental office today.